Hey everyone loves something free right? 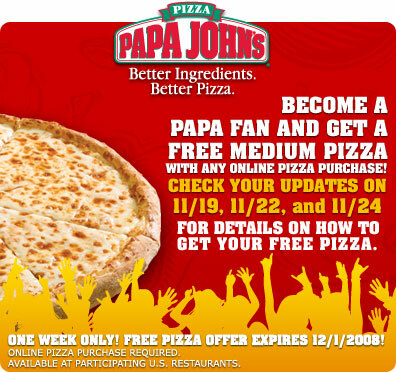 Not hard to get someone to click a link to become a fan if they know they are getting a free pizza out of it. Bargain shopping and coupon websites and blogs were abuzz and Papa John’s added 120,000 fans in the first 24 hours of the offer.